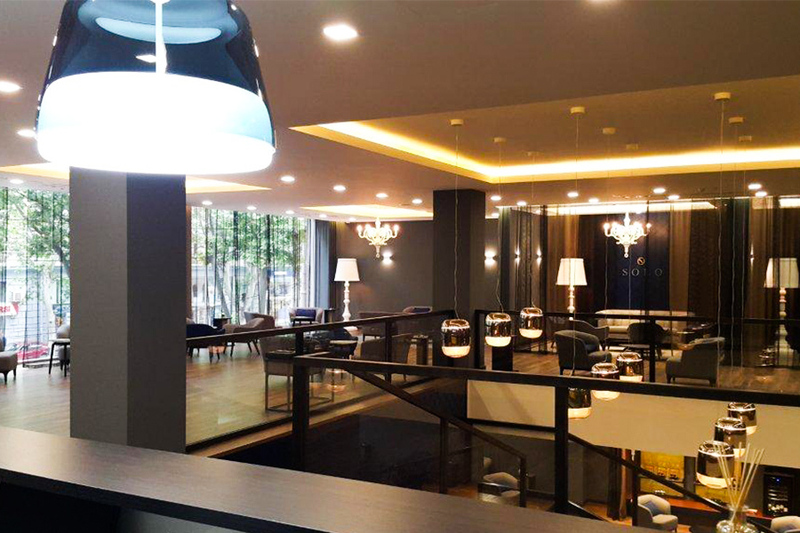 A new banking experience, more than 20 lounges from 700 to 1000 m2 and other physical touchpoints to allow SOLO, the Georgia’s leading bank in mass market, to become distinctive for its affluent customers and an international benchmark. In Georgia, we have seen the reality in which people live. A strong national unity that communicates the proud of be Georgian joined with a new scenario that is moving toward the globalization and the westernization. SOLO is ready for a new approach to banking. From a bank to a lounge with a distinctive service promise which creates in you the desire to be part of it. 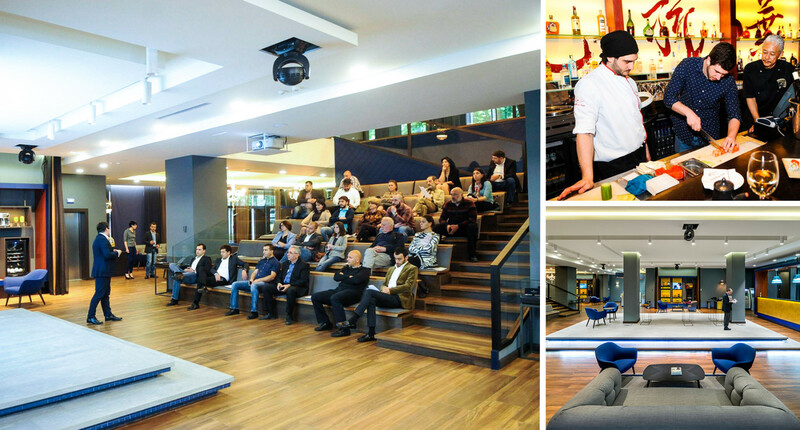 An experiential banking service that welcomes customers into an environment reminiscent of an upscale boutique and hotel. Since we launched SOLO in April 2015, the number of its clients has reached 11,869, up from 7,971 a year before. 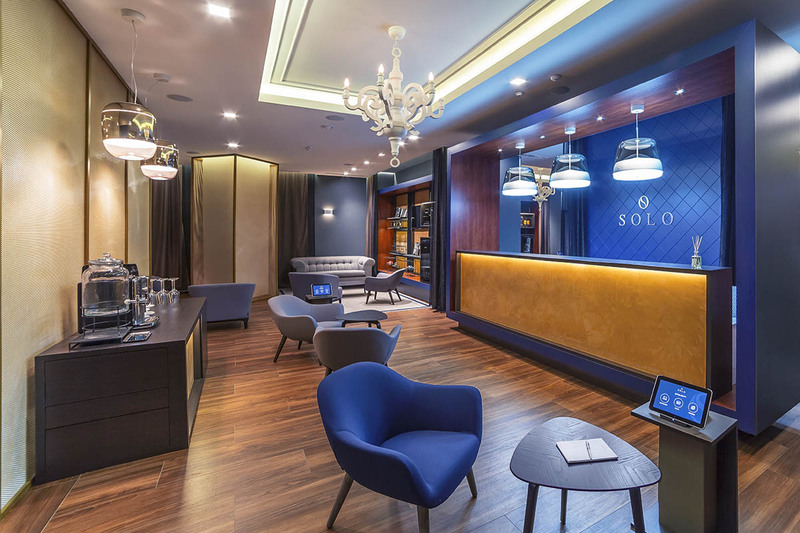 The newly designed SOLO Lounges have played a crucial role in attracting new clients as the location provides the finest salon – style environment – that represents an ideal place for presenting opportunities, such as the access to exclusive products and premium concierge-style service. As net profit per SOLO client is over 20 times of what the Bank has in the mass retail segment. 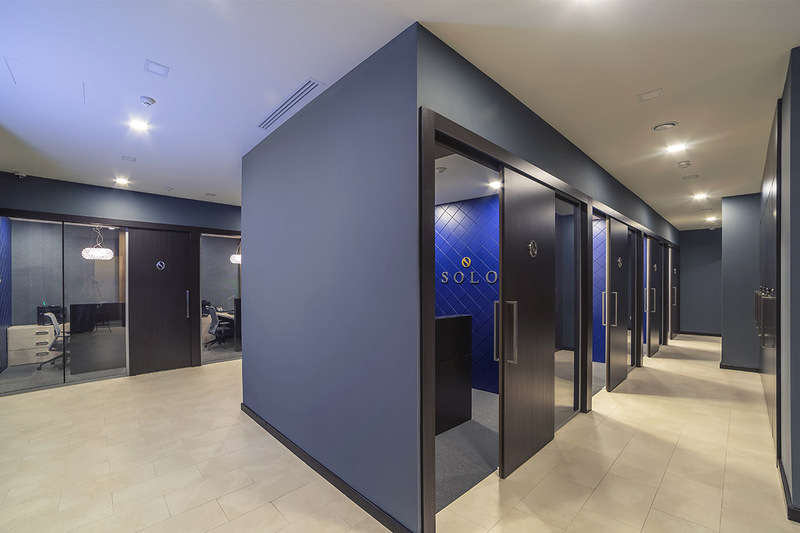 We believe SOLO Lounges is a perfect investment given, thanks to whom we aim to grow the number of SOLO clients to 40,000 by the end of 2018 from the current 12,000. 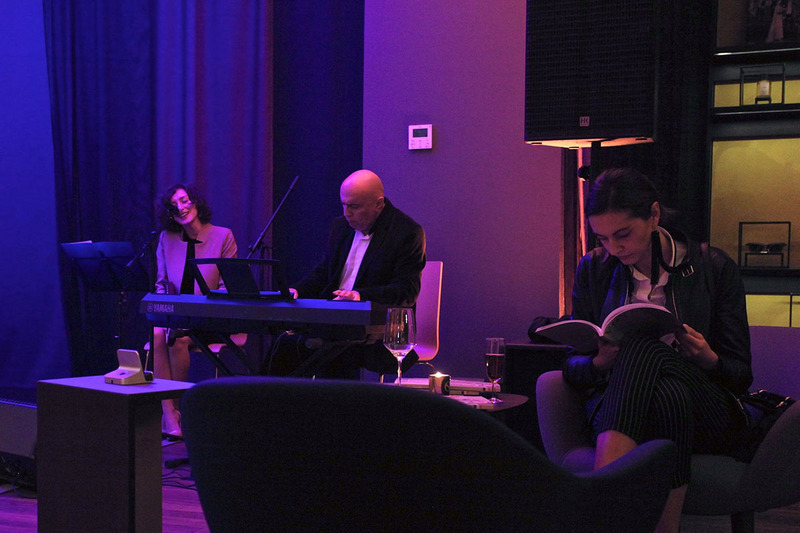 — SOLO lounge in Tbilisi. 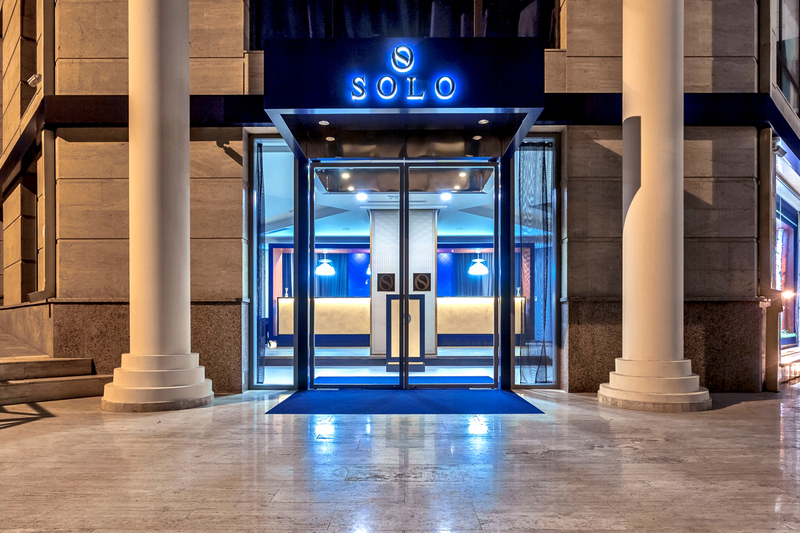 SOLO is a brand that focuses on the aspirational topic, so we have created a lifestyle bank landscape, by mixing an experience that recalls the hotel and fashion world and offers (to the mass affluent segment) value added services, as the tour operator, Voyageur, with Italian design and food as well as French perfumes. 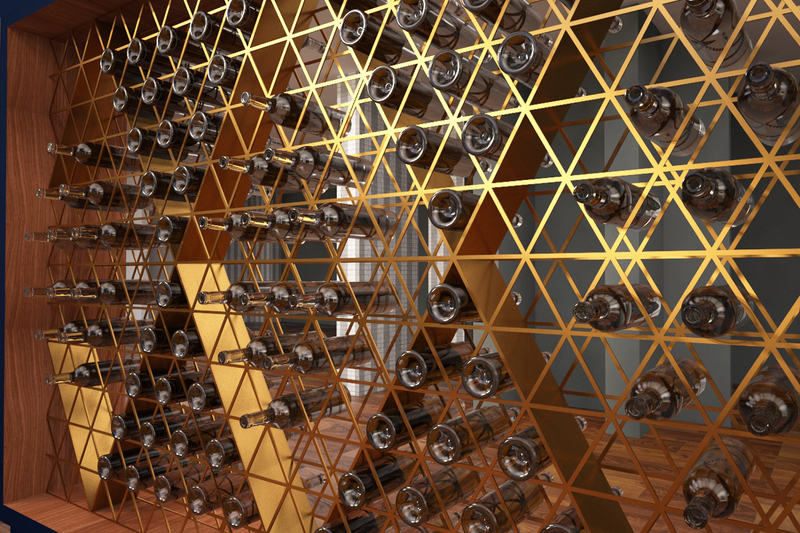 A new banking model based on concierge-style offerings, personalized services and an upscale environment that exudes luxury and exclusivity. Each customer enjoys and shares unlimited possibilities of this new lifestyle. Now-a-days, banking products are flat and they are proposed by all the banks. New SOLO lounges offer something more. 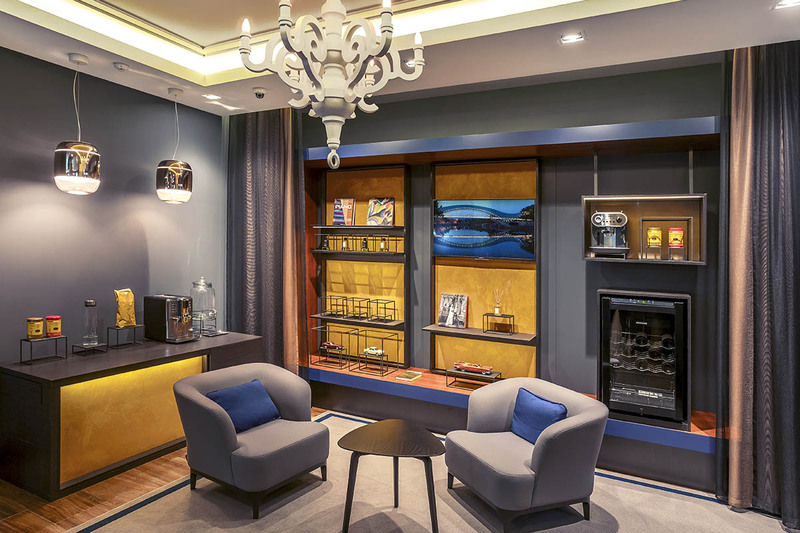 With an understanding of clients needs, desires and aspirations, we have developed an experiential banking service offering comfort and a distinctive opulence that welcomes customers into an environment reminescent of an upscale boutique and hotel. 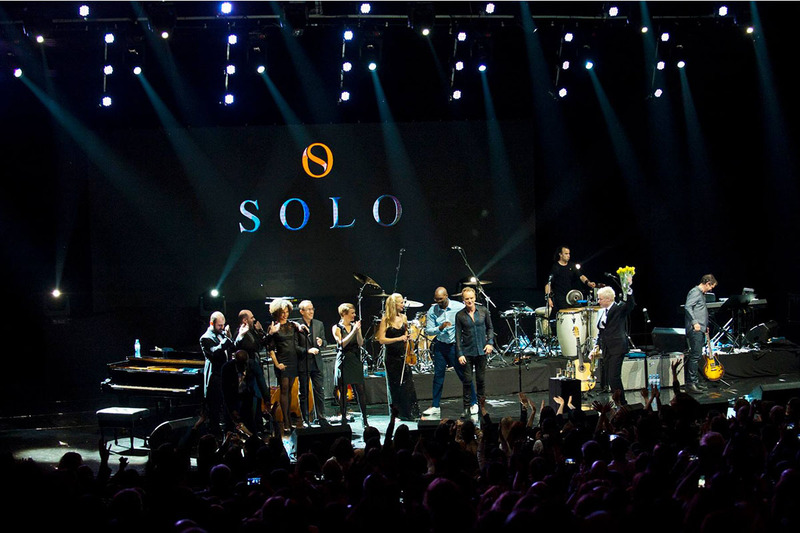 SOLO is a place where it is possible to breathe a privileged atmosphere. It offers several initiatives dedicated to its clients such as like the tour operator Voyageur which proposes to participate at the coolest events around the world, as weel as previews and jazz concerts. 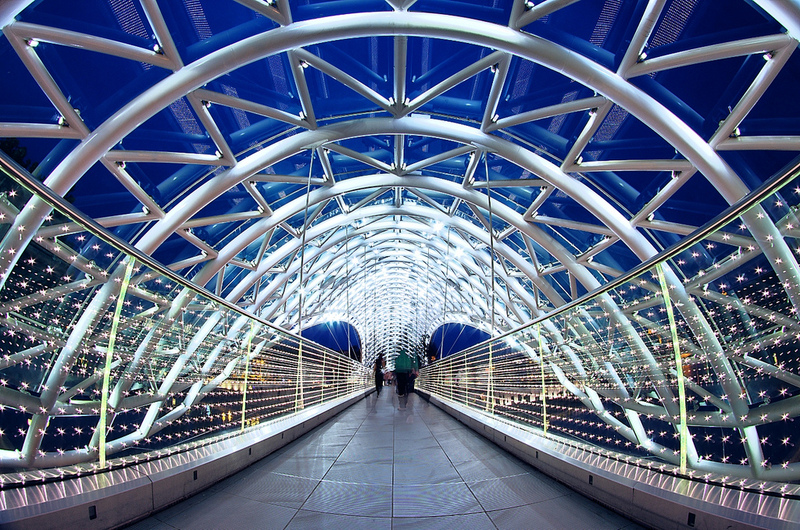 SOLO customers become protagonists of opportunities thought exclusively for them. This is the reason why SOLO is different from ordinary banks. We call them lounges because they go beyond the branches. Clients don’t have to take a ticket or wait behind a counter. Upon entering the bank’s lifestyle lounge, clients are exposed to an inviting atmosphere, featuring lush Italian furnishings and finishes. Concierges welcome and invite them to be carried away by all the SOLO chances. While the lounge is mostly open, there also are different areas (from a total privacy to soft ones) where it is possible to discuss about banking issues in a more private way. 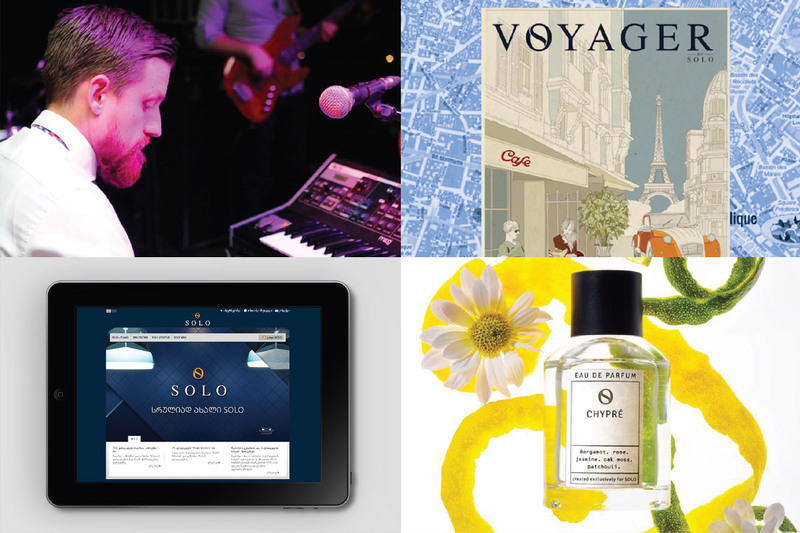 SOLO customers can move freely to discover all SOLO products thought to engage them. Their wait is made pleasant by a very exclusive treatment. Everything has been created to welcome them, take care and satisfy their expectations. New SOLO concept is really different from all the concepts existed in banking so far. The idea behind it is to ensure exclusive treatment of SOLO clients and create a memorable and distinctive environment in terms of service and design experience. Sasha Katsman, CBO at Bank of Georgia. 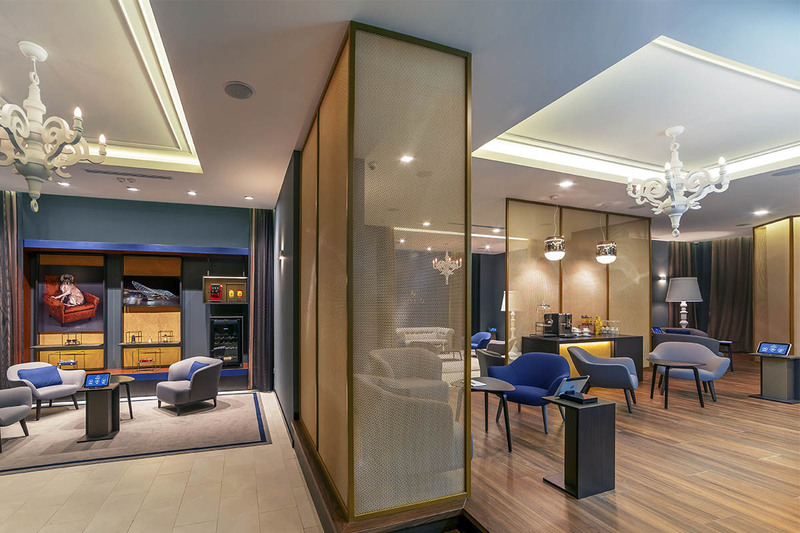 While dark wood and stone set the mood in the reception area, the challenge was to create an overall aspirational tone by establishing various levels of privacy in an open environment. 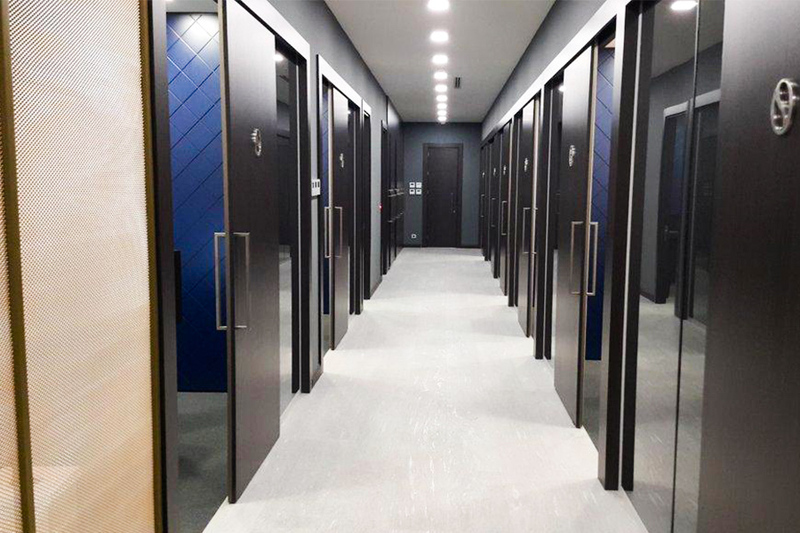 The solution has been the positioning of semitransparent curtains, metal grids and brass finishings that divide and identify areas within the space, based on function, privacy and special needs. To complete the environment experience, specialized Italian excellences (Prandina, Polifom, De Padova) harmoniously accent the sophisticated nuances. 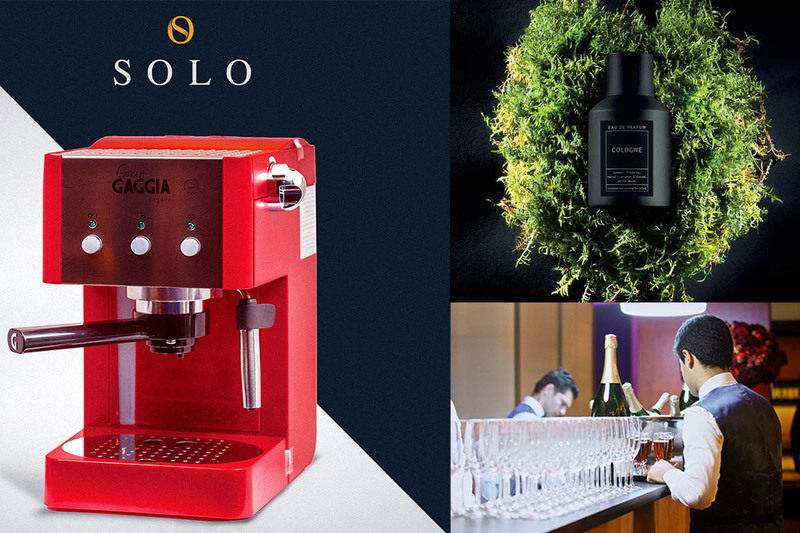 You can order and buy everything you see into SOLO lounges: furnitures, perfumes, good wine or Italian coffee and other culinary products. The tour operator helps you to organize trips and to take part in the coolest events around the world: from Festival de Cannes to Mercedes Benz Fashion Week. With the success of SOLO, we plan a nationwide rollout, upgrading its existing branches to the new format. 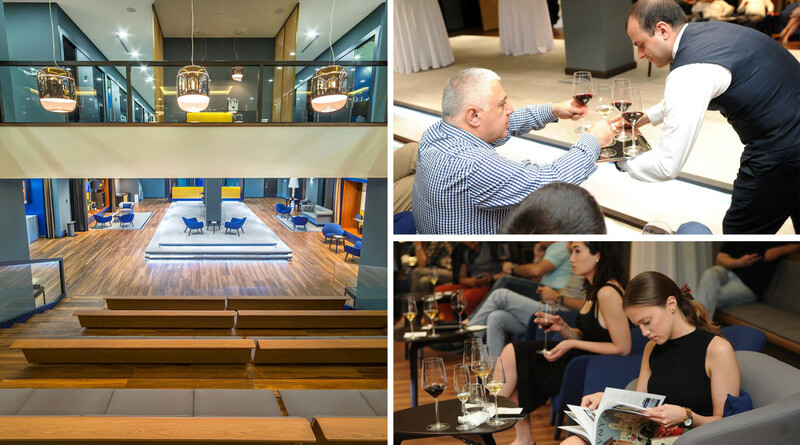 To date, SOLO has installed 10 new lifestyle lounges in Tbilisi and 20 in other Georgian cities from 800mq to 1400 mq. The bank adds value in its branded offerings, including an exclusive SOLO venue and three hotels with restaurant. A distinctive and strong brand positioning that is bringing to birth new scenarios outside banking network. 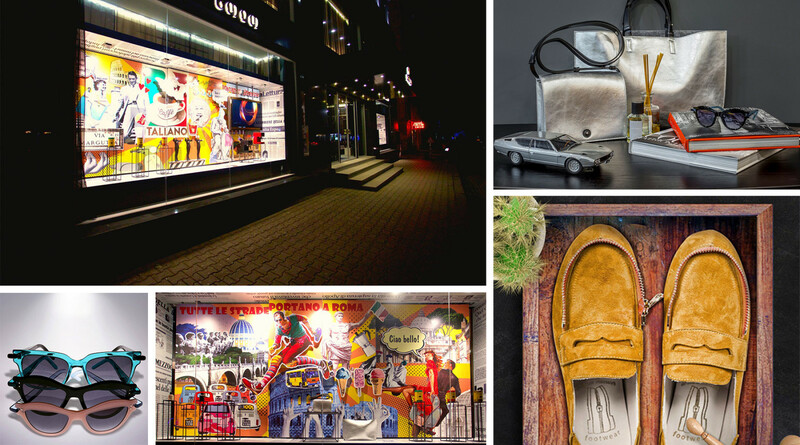 New physical touchpoints to increase SOLO brand awareness and reputation. 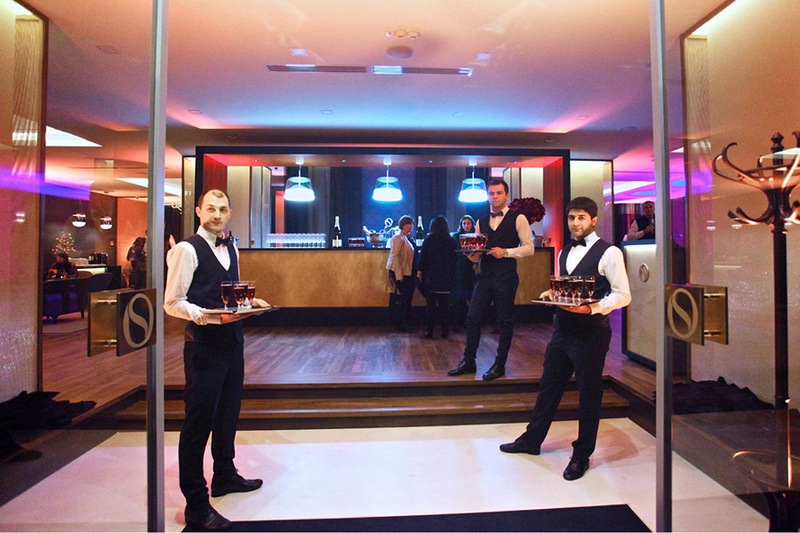 A different more friendly way to meet the customer, who can live the brand and receive a consultancy in an informal context enjoying a unique food experience. A hub where to live the essence of SOLO and feel part to an exclusive club. A reference point in Tbilisi in no time. A place designed to host different events such as fashion shows, film previews, musical concerts (great celebrities, such as Sting, present their new album) with the possibility of hosting more than 100 people. SOLO venue makes it possible also to practice banking, thanks to the offices on the upper floor that allow more privacy. More than a premium brand. A new identity with a contemporary style to enhance and boost the concept of luxury and exclusivity.